The perfect addition to any garden. 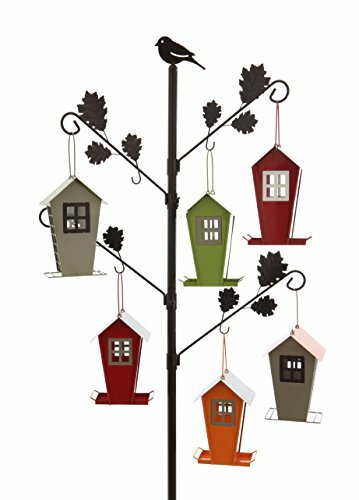 Encourage more birds into your garden with our wild bird feeding station. 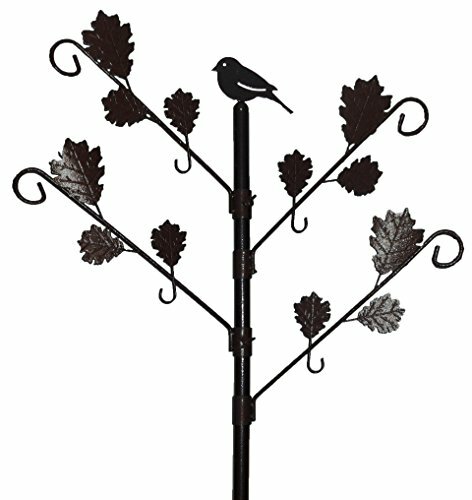 Wild bird feeding station has two hanging points on each of the 4 adjustable branches! New design with leaves and bird finial. Three pole sections with brown hammertone finish. No tools required for assembly. The base can simply be pushed into the ground or placed in a holder on a patio. There's a 3 part pole system, 4 adjustable branches (each with 2 hanging points). Hanging points suitable for most types of feeders.